Steven (Chicagoland, United States) on 12 March 2019 in Plant & Nature and Portfolio. Spotted at the Garfield Park Conservatory in Chicago, Illinois. Photo captured February 2, 2019. 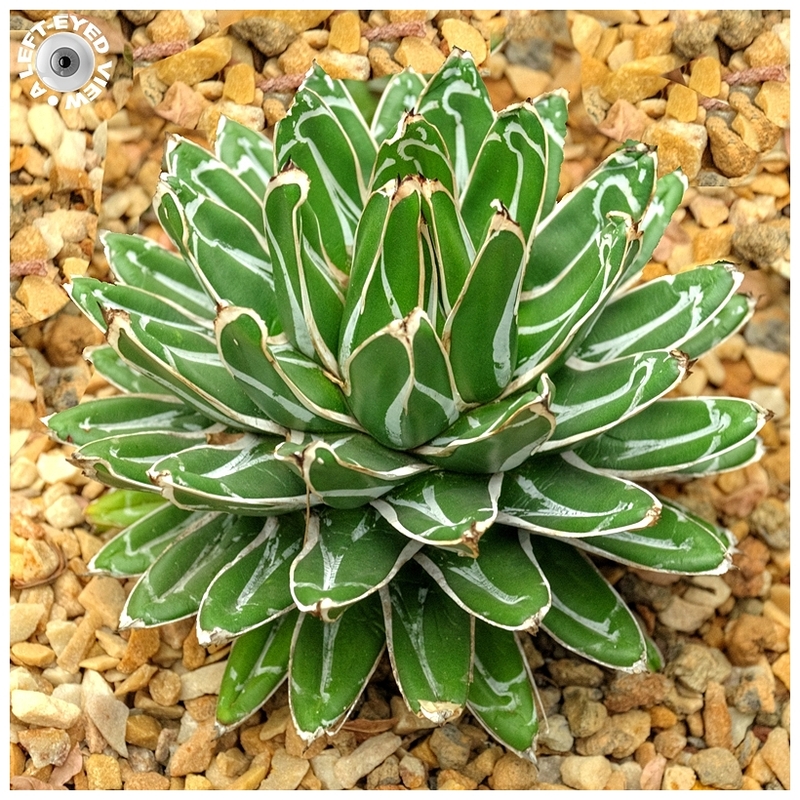 Beautiful capture of this agave with a famous name. Cette plante est magnifique ! I wonder if that is the same species that they make mezcal/ tequila from. Looks very determined . .
Superbe graphisme végétal, la nature est vraiment magicienne ! Very nice and interesting plant. Superb framing and very special plant. Une plante grasse qui fait penser à un artichaud. Very nice image of this plant Steven. Excellent focusing. Very easy on the eyes and nicely framed up. Beautiful plant and colors with the yellow little stones around ! How strange!? I watched a BBC documentary about Mexico's mountains last night. I like the contrast between the soft plant and the gravel surrounding it. The brown and homogeneous background, allows the plant to be in full prominence. This is really a great and beautiful photo from this famous agave. Superbe plante joliment cadré. Extra. Très belle plante qui émerge de son lit de cailloux ! This is such a beautiful plant. Gorgeous colors and I love the design on the leaves. A very impressive close up. I like it very much. On trouve se genre de plante sur le bord de mer dans les Calanques de Marseille, en particulier au domaine de Luminy. Superbe et très résistante ! A gorgeous agave! I've never seen one like this. Such beautiful patterns! I love your tight crop on the image!